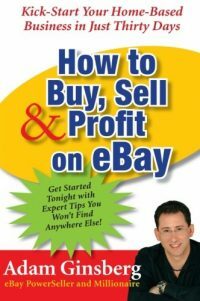 By Scott Pooler on June 17, 2009 in Bonanzle, BonanzleStore, ebay competition, What is Scott Doing Now? This is the first in a series I would like to call “What is Scott Doing Now”? It seems that I have “gone missing”, people ask me where have I been, what am I doing? Well, I have been busy and have not had the time required to keep this and many of my other blogs current. A “BonanzleStore” (launching late summer 2009) is an outside website, separated from Bonanzle and allowing the merchant to brand themselves with a completely customized eCommerce Web 2.0 Site. New Direction, Future for All Business Auctions – Reviews Anyone? These changes have left me with a quandary about what to do with the All Business Auctions name and the two sites associated with it. The blog has experienced good traffic from the start and has been linked to from sites around the Internet. As anyone who has studied how WordPress blogs bring in organic traffic knows, the regular addition of content is key to maintaining a healthy blog. What to write about when eBay is no longer the focus for the brand All Business Auctions? It has been a quandary only accentuated by the expansion of iBusinessLogic and the client work we have been blessed with since changing our focus. Bonanzle is a very interesting and ever expanding marketplace that has piqued mine and several thousand other peoples interest. The entire massive and ever expanding groundswell of acceptance has not come from 50 people repeating the same comments (something I have a problem with – please be original BAC members i.e. paraphrase your comments please) on several blogs. The interest has come both from within and from outside the community. The BAC members are simply reaching outside the site to make the site known to those who have never been exposed. From there the decision is completely in the consumers hands, try Bonanzle or not – it is up to the potential member. The BAC does nothing to trick or deceive people into trying the site. I will say that I am surprised that Etsy and Amazon did not get more votes in yesterdays poll. I can only attribute this to sellers on those plateforms not being away of our unscientic census of online merchants. If you know anyone who would be interested in weighing in for Amazon, Etsy, Dawdle or any of the others, please send them here to let us know where they are proud to sell product online! Multiple Channels – Where do you List Your Products? eBay, Amazon, Etsy, Bonanzle or? Today we will ask where you are actually selling product or offering product in these channels. Obviously we could not list every channel available so we will leave the ones you suggest in the comments section for another poll. For this poll we will simply ask about the majors and it is multiple choice so click on every place you utilize that is on the poll. How many of you are trying new and interesting channels such as Etsy, Bonanzle, Online Auction, Dawdle, or any of the others which have popped up in the last 12 months? Conversely, how many are sticking just with eBay or your own ecommerce shopping cart website? If Bonanzle shows you additional traffic over time, that traffic can only build because the listings are on the site until sold, the Google Base works, the site is indexed quickly and often and it is just darn simple to move inventory over to Bonanzle to see how it works for your products. SUPERBOWL Traffic Test – eBay vs Bonanzle Completed – Who Won? Roughly twice as much traffic, from various sources went to Bonanzle. Is this a scientific result? No… Does it tell a story about the possibilities on new and exciting venues, yes! Does it mean you should pack up your business and move it to Bonanzle? That is your business decision, I would never recommend anyone leave eBay without first knowing what the new location will do for them. Keep your sales humming, if they are, on eBay… But it never hurts to take a look next door! Why taint the Carroll Shelby charity event with eBay Rules violations and obvious commercialisation. 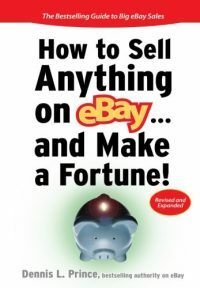 Why would eBay risk the reputation of the good charitable work they do to allow the promotion of a competing website? 10,000 users have registered to buy and sell on Bonanzle. Yes, I agree, this is not a significant number when compared with the registered user of sites like eBay, Amazon.com or even Etsy. Yet, the speed in which this milestone has been reached is a significant development. Bonanzle is an great tool for Internet sales of tangible and intangible items. The site can not be compared with eBay because it is not similar in any way other than a very fast start. If fact, I would wager that if the growth curve of eBay from day one was compared with Bonanzle’s meteoric rise in these last several months, eBay may not come out the winner. Has eBay spoiled merchants with its renowned "Firehose of Traffic"
If you sell products on the Internet – It’s your job to make sure buyers find and buy those products. I question why sites who want to tackle the giant of eBay when it has shown its weaknesses have not utilized this simple method of attracting new users and visitors. Affiliate Marketing. eBay this is not, Amazon this is not, Craigslist – nope not that either… This place can only be compared to itself as it is truly a Bonanzle! I asked Cliff to explain Amazon FBA to our readers here at the Trading Assistant Journal because we are always aware of the desire to look outside of eBay and learn about eBay competition. Naturally Amazon is one of the first places eBay sellers think about when considering a switch. With this additional announcement, eBay is ringing the bell that tolls a change in the way consumers will search the site. This new or revamped search engine (can you say Best Match on steroids?) will offer fixed price listings side by side with auction listings (tests leaked on this system last February). Will this new search “disadvantage” auctions so much that they become irrelevant and eventually through market pressure simply cease to exist? Contribute to an Article about eBay Competition, Amazon, Etsy, OnlineAuction or eCommerce Website? The obvious options as eBay competition include Amazon, Yahoo Stores, and stand alone eCommerce websites, we will research each of these options and more. eBay Competitors – Where to go After DSRs or Best Match? We all know eBay is moving to a more retail like atmosphere. 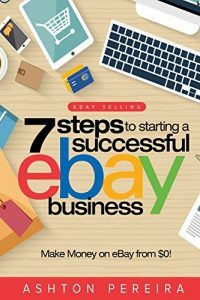 If your niche or business model does not fit into a retail like experience for the new eBay buyers, as a seller you will soon find it very difficult to survive on eBay. eBay competition springs like weeds – 7 day shelf life good for search?